I have discovered on my travels a very unique Zenit 12S USSR Camera that resembles a machine gun! Trust the USSR to make something so … USSR! The camera is pretty bulky and when the gun attachment is attached to the camera it becomes ridiculous to see and to use. If you’re planning on visiting the beach this summer and taking photographs of the kids for your family album i’d make sure to be ready for the local police to come and swarm the area before taking this out! Enough about that, after sussing out the dials and buttons i came to the conclusion that it’s astonishingly heavy and very slow and cumbersome to use. Towards the front there is a large chrome screw mechanism that winds the zoom in/out. Due to the size of the dial and comparative size of the zoom mechanism it is, suffice to say frustrating and painstakingly slow to move and adjust. The central dial is used to screw the lens onto the gun attachment for the camera, which has a cable release cord to attach to the camera so when you depress the trigger it fires a frame respectively. Storage is a bonus! 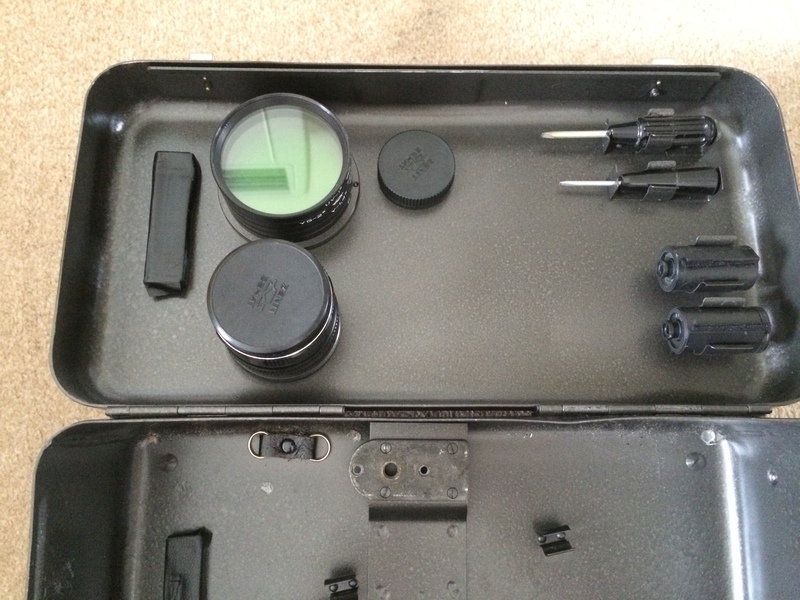 Coming in it’s own military style metal container with filters, lenses and various screwdrivers and attachments so that you can adjust the camera and change features. When you’re finished with the camera it can be neatly bolted into the container. Lovely. Although awkward to use and ultimately a strange camera i was amazed at it’s bold design. 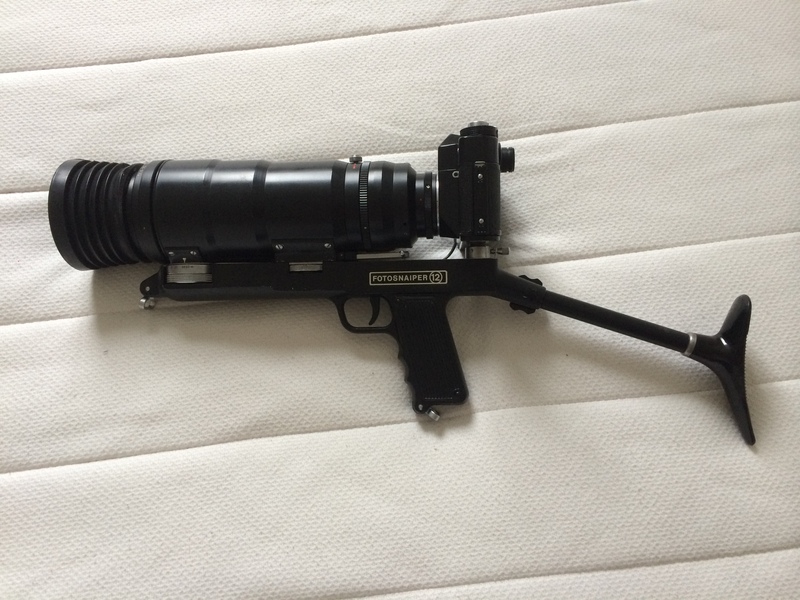 I feel that without the gun attachment and possibly with the smaller lens it would be great to take out and trial. The mechanics seemed in tip top working condition too so this is definitely a well preserved piece of equipment.